William Grant & Sons Masterclass: in Hobart! Like some Glenfiddich? Let’s be honest, who wouldn’t? How about some Balvenie? How could anyone possibly refuse? Care to enjoy a dram with the people involved in making them? Uh, how does ABSOLUTELY sound? Come along to the Waratah Hotel in Hobart on Friday the 17th of April and you will be able to do exactly that! The Tasmanian Whisky Appreciation Society (TWAS) is excited to welcome the crew from Grants to the state to conduct a tasting of no fewer than eight of their finest whiskies! If you’re interested in attending, email Richard Steward at richard@rnsdata.com.au and tell him you love a bit of DoubleWood! If you sadly live somewhere that is not Tasmania, then we at Whisky Waffle will just have to attend for you. Leave us any questions in the comments and we’ll ask on your behalf! For more information, check out the TWAS website! Tasmania is rapidly becoming known as the ‘Whisky Isle’ of Australia. Not only are distillers here in my home state creating award winning produce, they are also experimenting with new methods to create unique whisky. 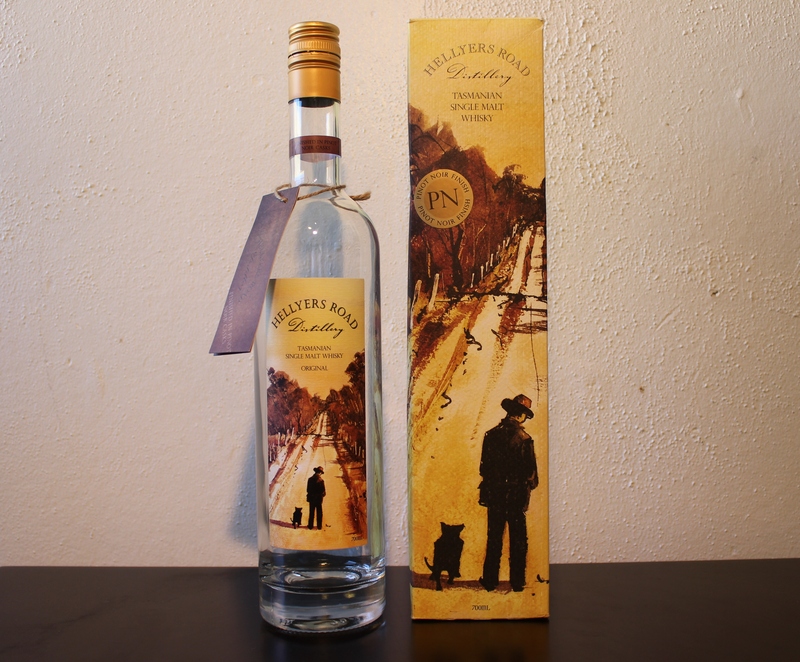 Hellyers Road Distillery is no exception to this, and perhaps their most interesting expression is their Pinot finish. The Tasmanian wine industry is already thriving, with cool climate wines such as Pinot Noir being made exceptionally well, particularly in the Tamar Valley. It is from here that Hellyers road sources barrels to transfer previously bourbon-aged spirit into for the final six months of its maturation. The difference this process makes is marked. One glance tells you that this is a very different whisky to the Original release. Its colour is no longer light and pale; instead it is enticingly golden. The nose is equally varied. There are still the typical buttery notes to be found, but now these are infused with fruits such as raisins and dates. The palate is rather light, but gone are some of the sharper, rougher flavours of the Original. Instead there are dry, almost sour notes, competing intriguingly with the more expected flavours of vanilla and toffee. The finish is spicy, the added kick from the alcohol percentage of 46.2% clearly apparent. Finally, you are left with the trademark Hellyers Road buttery notes that remind me of not so much a cake, but rather uncooked cake batter. The Pinot Noir cask is a fascinating malt. Undoubtedly more interesting and complex than its cousin, the Original, it is also smoother and easier to drink. While not yet a perfect whisky, it certainly shows that experimentation has more than paid off for Mark Littler and Hellyers Road. 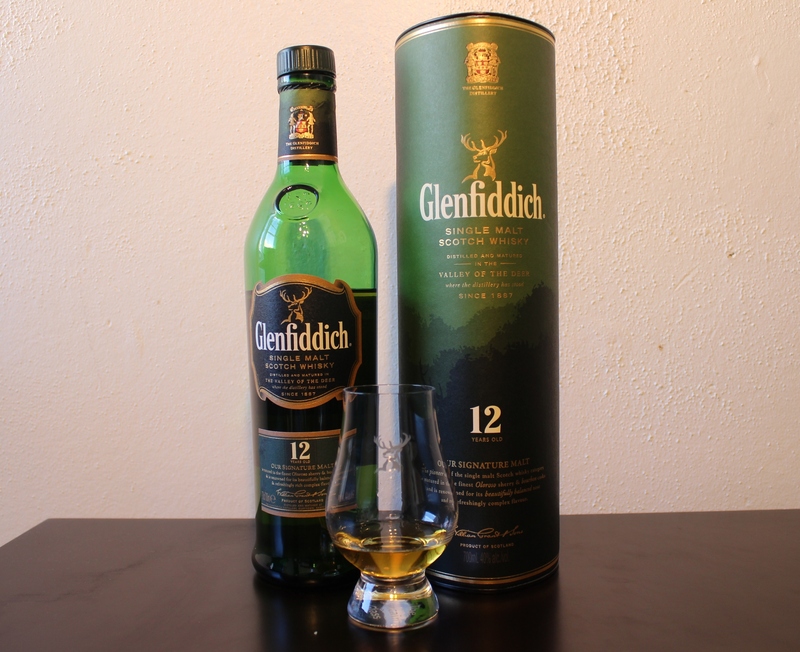 Glenfiddich is undeniably the most popular distiller of single malt Scotch whisky in the world. This is demonstrated in a number ways. Their long history dating back to William Grant himself. Their extensive range of expressions, which includes a fifty year old that is not impossible to come by. Their whopping 28 stills on site. Or perhaps, the simple fact that they sell more whisky than any other distillery in Scotland. Their top selling bottle is their 12 Year Old. Its distinctive green packaging is synonymous with Scottish whisky. And it is a very drinkable malt. But cannot in any way be described as remarkable. While the distillery will try and impress upon you a likeness to pears in this dram, the palate and especially the nose are in fact more floral in nature: more akin to a stroll through a florists than a greengrocers. Some spice and oak begin to develop before finally the merest hint of sweet fruit arrives at the very back-end of the finish. Overall, this is a fairly light whisky in a pleasant and yet slightly disappointing way. After the build up concerning its popularity, the end result is somewhat of an anticlimax. Despite being the world’s best selling single malt whisky it does not convince me that it is also the best representation of Scotland.